This event is only available in Chinese version and will be spoken in Cantonese. Capture the huge growth opportunity of Universal Acceptance (UA) for your business particularly in the Asia Pacific region! You may risk failing your clients if you are not aware of the implications of Universal Acceptance. Customers may be denied access to your services if your applications are not compatible with the changing Internet standards. That’s not fair to you or to them. Universal Acceptance is the simple idea that all domains names and all email address work in all applications. Yet in reality, not all of them now. Join members of the Universal Acceptance Steering Group (UASG) and colleagues from the Hong Kong IT community to discuss the issues, opportunities and solutions. Supporting organisation: Office of Hon. Charles Mok, Hong Kong Internet Registration Corporation (HKIRC), Internet Society Hong Kong (ISOC-HK) etc. Hon Charles Mok have invited the team behind government open data portal data.gov.hk at OGCIO to give us a briefing of the website’s latest features and their future development. They will also introduce the cross-department geospatial data platform which is now in development. Join us on 8 August to learn more and give your feedback! Email confirmation will be provided to participants. HKEx is seeking feedback on proposed market enhancements to enhance quality and competitiveness of Hong Kong market, comprising of GEM review and New Board proposals. Suggestions include attracting “New Economy” companies to develop Hong Kong’s startup ecosystem, setting up New Board which allows WVR companies and pre-profit startup companies to list. Hon Charles Mok invites HKEx to conduct a briefing on its market consultation on GEM review and New Board concept paper to enhance Hong Kong’s listing framework. ICT professionals, startup community and interested parties are welcome to attend. Join us on 7 August to learn more and give your feedback! This film screening session is only available in Chinese. The speaking language of this event is only available in Chinese. This event is only available in Chinese. In August my office conducted an online survey on the working condition of frontline IT workers, I will co-organize a seminar with HKUST Business School on 27 October (Tuesday) to discuss IT talent crunch and share our findings from the survey. The event will be in Cantonese. We have put together a number of experts from HR, education and business, and have invited frontline IT staff to share their view on career prospect and how to address the talent crunch in ICT sector. Don’t miss it and spread the word-enrol now to secure your seat. Public debate on the political reform proposal is getting more intense as it will soon come to a vote. 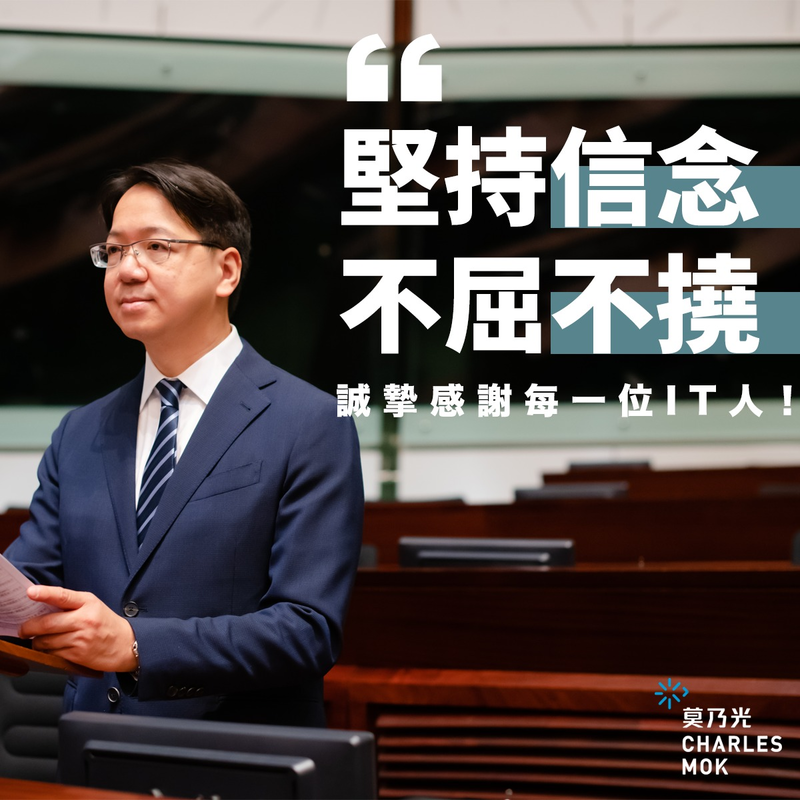 I am going to organise a forum for the IT sector on constitutional development in early June with speakers falling along different parts of the political spectrum and members of the IT industry (Cantonese speaking event). I hope this will be an occasion for a constructive dialogue, and you are welcome to come and share your thoughts.